SDMEL Cia Ltda. 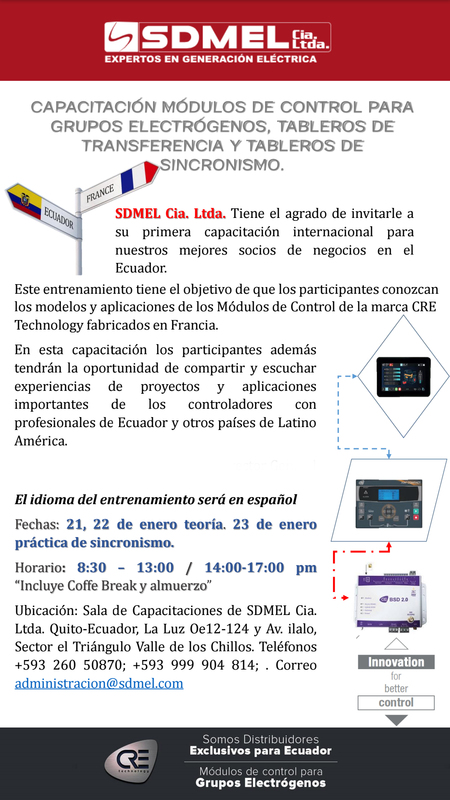 is pleased to invite you to its first international training for our best business partners in Ecuador. 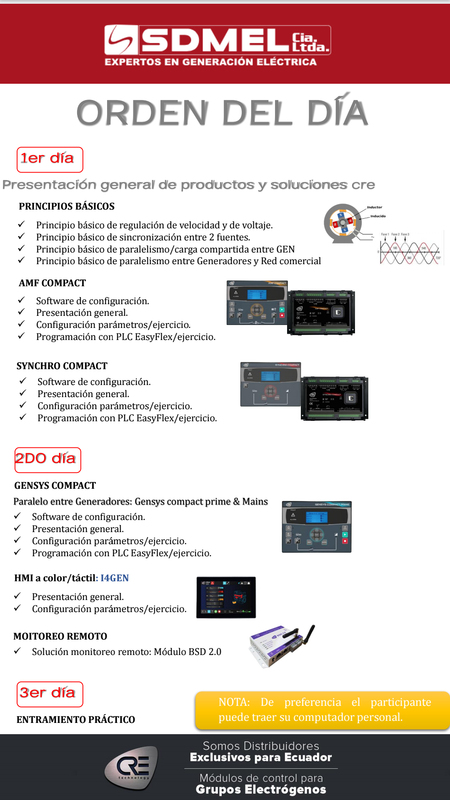 This training has the objective that the participants know the models and applications of the Control Modules.